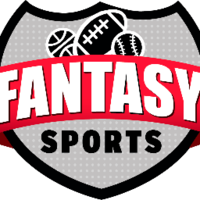 I'm currently in a 4 sport (MLB, NFL, NHL, NBA), 3 keeper per sport fantasy league (4 separate leagues per sport, with the overall league standings based on results from each league). Recently, members have brought up the idea of changing our format to a more dynasty-like format. Several suggestions have been brought up, such as moving to a deeper keeper, full dynasty, adding salary caps, auction drafts, keeper limits, etc. So I'm just looking to get some ideas of what other formats leagues use. So what league format do you use? What would you like to use? What formats have / haven't worked for you in the past? Additionally, if you're able to add any details on the logistics of your format (such as how the initial draft was set up, following drafts, or any suggestions for how our league may be able to transition) that would be great! The more info the merrier!